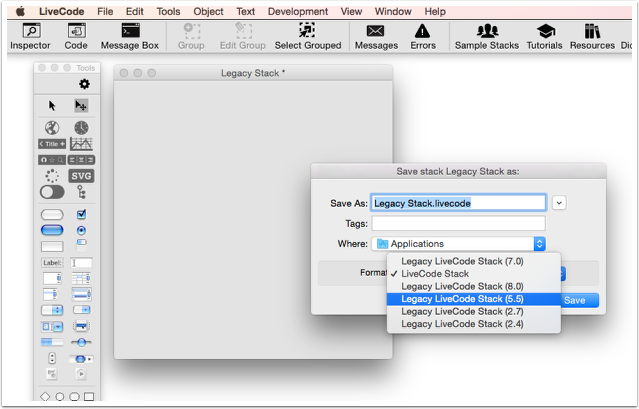 From time to time, you might want to save your stack to be compatible with an earlier version of LiveCode. To do this, use the Save as... option under your File menu. 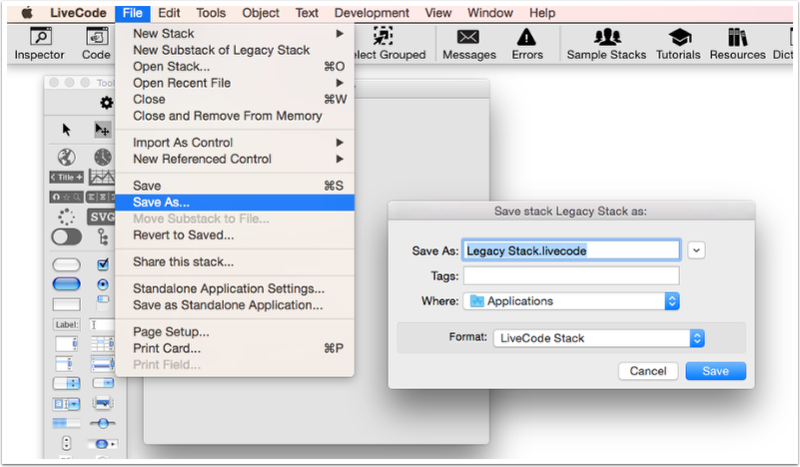 Click on "LiveCode Stack" in the Save as... dialog box, and select the format you want to save the stack for. This will remain the default for this stack unless you explicitly change it back to the default or another format. Note that any features you have used in a later edition of LiveCode will be discarded if you save for a version of LiveCode they were not present in. The version numbers shown are the versions in which LiveCode's stack format changed. If you have for example LiveCode 5.0, and have created a stack in LiveCode 8 which you want to save for your 5.0 edition, you would choose the 2.7 format to save for 5.0.